Intel has released its new CPUs. There’s only two desktop CPUs at the launch and more will follow later in the year. 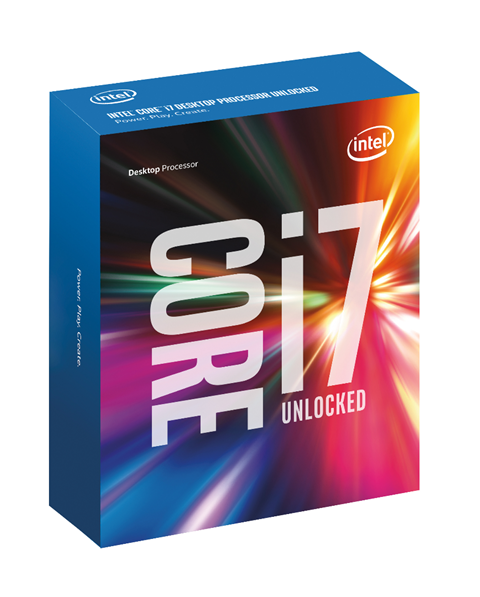 The higher-end Core i7-6700K retails at $350 and packs the usual 4 cores and 8 threads. Base clock is set to 4.0GHz and out of the box the Turbo boost boosts the clock speed up to 4.2GHz. The i7-6700K has 8MB of L3 cache. Core i5-6600K is more affordable with $243 price tag but it lacks the hyper threading and has only 6MB of L3 cache. The i5-6600K runs at 3.5GHz and Turbos up to 3.9GHz. Both new CPUs are made with Intel’s new 14nm process called Skylake. Both share the same TDP at 91 watts and the same integrated GPU. The HD 530 has 24 EU units running at 1150MHz. The new CPUs support both DDR4 and DDR3 memories. With the new CPUs a new socket was launched. The LGA 1151 supports maximum of 4 DIMM slots and up to 16 PCIe lanes. We have no idea why Intel decided to limit PCIe support to 16 instead of 20 because it limits NVidia SLI to 3-way configurations. 4-way AMD Crossfire is still possible. As the first benchmark are flooding to the internet, it looks like the new i7-6700K is only around 10% faster than the i7-4790K. In game benchmarks the gain is even smaller. At the moment it looks like the Skylake is not going to be a great success as Haswell owners are not benefiting anything by upgrading. In the future there will be more Skylake products so we can’t doom them all yet. Still after Skylake, there will be Kaby Lake which is yet another tock and we are not expecting too much from it either. So we don’t believe the rest of Skylake lineup to be any more attractive than these just released desktop CPUs.